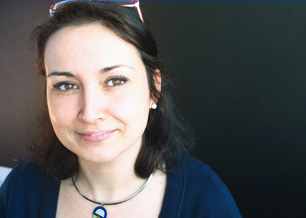 Chiara Begliomini graduated in Psychology at the University of Padova in 2000, studying the effects of traumatic brain injury on inhibition and control processes. She then moved to the study of motor control with neuroimaging techniques: she spent several months at the Neuroimaging Laboratory at the Royal Holloway University of London (UK), and from 2005 to 2006 she was visiting fellow at the Section of Experimental Neuroradiology of Tuebingen University Hospital (Germany). In 2006 she received her PhD from the University of Trento, with a thesis investigating neural correlates of grasping movements with functional magnetic resonance imaging (fMRI) and from the end of 2007 to the beginning of 2010 she joined the University of Ferrara to investigate the effects of action observation on motor recovery in stroke patients. During this time, she was also involved in studies focusing on the relationship between mirror neurons and language within the framework of Liberman’s motor theory of speech perception. In March 2010 she joined NEMO at the University of Padova, working on cortical representation of actions in humans and participating in the start-up of the neuroimaging laboratory established at the Radiology Department of Padova University Hospital. In March 2011 she joined the Department of General Psychology at the University of Padova with a junior tenure position. At present, her research program is an attempt to understand lateral preference and performance first from a bottom-up perspective to determine the motor requirements for particular tasks, and secondly, from a top-down perspective of how the brain is lateralized for skilled movement. Her research to date attempts to answer why there is a preferred-hand advantage in motor tasks and how this advantage is related to hand preference, in order to understand handedness and manual asymmetries, as well as how the hemispheres are organized for motor control in complex, goal-directed movement.